America is known the world over as the great melting pot for a reason. It’s because America and its rich history aren’t just about one group of people. Our nation owes many things about its culture and unique flavor to the influence of multiple marginalized social groups. These groups include but are not limited to women, African Americans, Hispanics, and Italian immigrants. History Press’s American Heritage series shines a fascinating and very necessary spotlight on each of these groups and their contributions to various regions, cities, and neighborhoods across the country. Explore American history from an entirely new and completely fascinating angle. Each volume in the American Heritage series treats the reader to an intimate look at a different slice of the marginalized American populace. Some volumes explore American women’s history, while others uncover the rich histories of various ethnic communities across the United States. Still other volumes track the stories of immigrants, slaves, and other groups throughout history. Get to know some of the Jersey Shore’s most remarkable women – everyone from clam shuckers to monumental social reformers. 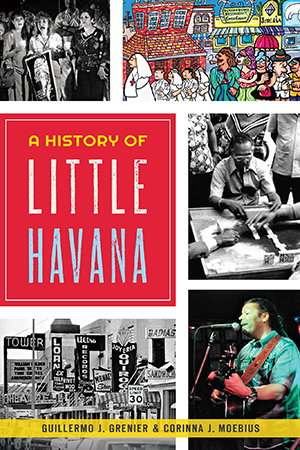 Explore the rich history of Florida’s famed Little Havana neighborhood – one of our nation’s most important refugee sanctuaries. Even treat yourself to a fresh look at American architecture from the perspective of black builders. It’s a riveting and personal look at America that should be part of every history buff’s library.